Titans Tuesday is dead! Vaya con Dios Titans Tuesday! I am probably not as amazing or as insightful as I think. Nah! That can’t be it. 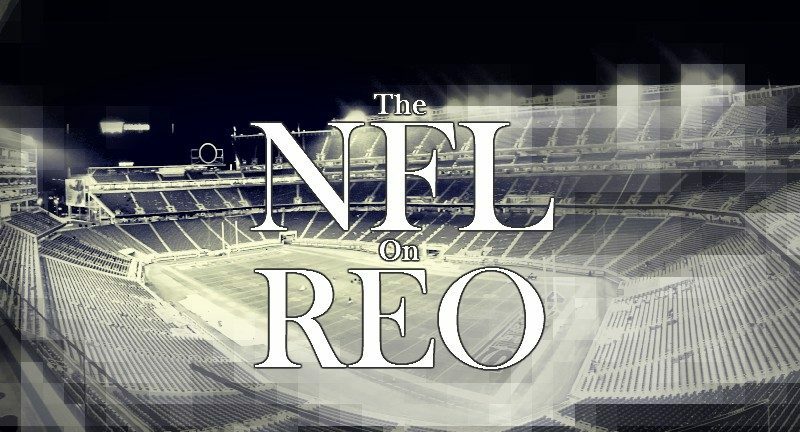 The REO readership doesn’t care about the Tennessee Titans very much. The stats bear that out with depressing accuracy. Sad face. The best performing editions were those that branched out and covered general NFL topics and not just things related to the Titans. What that means is that instead of continuing Titans Tuesday, I have decided to let it evolve and become something that is more comprehensive of the whole league. That is not to say I will ignore my favorite team. The Titans will get their own section each week. If you have don’t care for the Titans, you are more than welcome to not read that section. Back when the Colts and the Patriots played nearly every season, you would hear a lot of talk about how the NFL manipulated the schedule to get those kinds of matchups. You still hear that kind of talk these days, when various fan-bases cry and moan about how their team got the short end of the stick, or how their rival team was gifted with one of the easiest schedules in the league. The NFL schedule is almost beautiful in its symmetry and logic. My only concern is that Roger Goodell is going to see how wonderful and perfect the schedule is and he will try to sabotage it in some way. I’m sure it tarnishes the shield or something. It’s 2017 and Roger Goodell still has a job as the commissioner of the biggest professional sports league in the country. If that is not a sign of the end times, I don’t know what is. As far as I can tell there are no great QB’s in this year’s draft. At least, there are no QB’s that multiple teams are falling over themselves to draft. That’s not to say that there will not be a handful of teams that convince themselves that they have to draft a QB high, which will create a mad frenzy at the top of the 1st round. While there do not seem to be any “can’t miss” type players, this draft does seem to be extremely deep in a variety of positions. I have a feeling that in a few years, this draft will be looked upon favorably outside of the QB position. Cornerback and Wide Receiver seem to be particularly deep this year, which bodes well for teams that need help at those positions. Yay for the Titans! A recent stat was released that showed that more than 30 of the players that are hoping to be drafted have been arrested. That is nearly 1/7th of the total number of players that will be selected this year. So, for the last time, any people out there that are still beating the NFL for their off the field issues yet conveniently ignoring the problems in the college game, enough is enough. The NFL is importing their problems and they have very little choice in the matter. There is no other talent pool they can dip into to acquire players. If we are going to be fair about the real problems in the NFL we need to start by addressing the myriad of problems in College football. I need to hurry up and finish this article before a few more college players get busted for drug use or get arrested for domestic violence. I’ll keep this brief because I really have no idea how Jon Robinson is going to operate in this year’s draft. If I were a betting man, I would put money on Robinson trading one his two first round picks. I think he values picks and not having a second round pick is probably driving him crazy. If he can still get a player he likes by trading either the 5th or the 18th picks, he will do that in a heartbeat. I don’t see any way around the Titans drafting at least one cornerback this year. Adding Logan Ryan this offseason was a good move but they also lost Jason McCourty, which offsets the Ryan addition a little. McCourty had lost a step or two and he was certainly not worth the money his contract was due to pay him, but he was still a body in the rotation that could give you some quality minutes from time to time. The Titans need at least one starter in this draft and perhaps another nickel or dime corner. Did anyone else get a surge of parental pride when you saw the video clip of Marcus Mariota arriving to the first day of OTA’s? It was still mostly dark outside when our man got to Saint Thomas Sports Park. He was walking fine and looked ready to get to work. If he is 100% healthy this season, I think he will have a Pro Bowl type of year. He gets it. He gets all of it. If you haven’t jumped on the bandwagon yet, you need to do so soon. After going 9-7 last season the Titans are poised to be one of the breakout teams of 2017. Don’t wait too long to get on board or you are going to be left behind. Finally, thank you and good luck to Paul Kuharsky. Paul has covered the Titans and the AFC South for a long time. He announced on Monday that he has been let go by ESPN. While I disagreed with Paul at times in how he covered things, or his opinion on certain players or situations, I truly believe he wrote with integrity and passion. He will be missed in that role but hopefully this will be the beginning of a new, more fulfilling chapter in his life. He can still be heard on The Midday 180 on 104.5 The Zone. See you next week as I recap the draft and address a few more reasons why Roger Goodell needs to be fired. Titans Tuesday: Run Like the Wind! Titans Tuesday may have had fewer readers than you would have liked, but those of us who read each week enjoyed every second of the journey. Too bad the end of Titans Tuesday is being overshadowed by all the ESPN layoffs as the top sports media story this week. Once again, ESPN has stolen my thunder. You guys no more about this than me so I’m asking out of curiosity not skepticism. Are there takes on Myles Garrett that keep him from being considered “Can’t miss”? I know he’s not quite as hyped as Clowney was but I seem to read he’s a pretty clear #1. What are some negatives people are saying? I think Garrett is the closest to a “can’t miss” prospect in this draft. But, a lot of what he will do in the pros depends on who drafts him. There are also some effort questions about him. I loved the article and the video. Well done. I didn’t know about Paul Kuharsky. Sad. He wasn’t the most likable guy he did know his stuff. It is so enjoyable to be excited about the Titans again. Things are trending up! I thought the 2 draft picks last night were fine. We addressed 2 of our major needs, and I personally think Davis will be a stud WR for years to come. PK is a great reporter. Hope he lands another job so he can stay in Nashville. I’ll have plenty to say about the draft next week, but in short, I agree with you. Trust me, there have been numerous internal discussions about Gowdy’s insanity. I wish I could get people to stop reading the Brady article! It has one of the best view totals in our history while just about everything else I’ve written for sports – you know, the more thoughtful and balanced stuff – languishes with low view totals. I have a feeling the 199th pick this year won’t have an article written about them by REO in 2034. Of all years to talk about the Titans, this is it. The draft was rich in the position player the Titans needed, and they picked up some bulk, speed, and sticky hands (meaning they can catch the ball). There will still be plenty of talk about the Titans. Don’t worry about that.